Given that James, Georgia and Ira have been on tour for pretty much the entire year since Fade was released back in January, you’d think we might have let up on twisting their arm for promotional opportunities, but with the promise of a good meal after, we persuaded them to record a BBC 6music session for Marc Riley last night. Playing Ohm around the 46 minute mark, they followed with some chat and two more songs, with renditions of Paddle Forward and I’ll Be Around from the 1:16 mark – listen to all of those here. Gideon Coe’s 6music show followed where the band had pre-recorded Is The Point Of It, also online now. Currently on their way back to the US, their final shows of the year take place at The Bell House and are all sold-out. OK, we missed Black Friday by a few days, but if that means ONE LESS TRAMPLING this holiday shopping season, it was totally worth it. 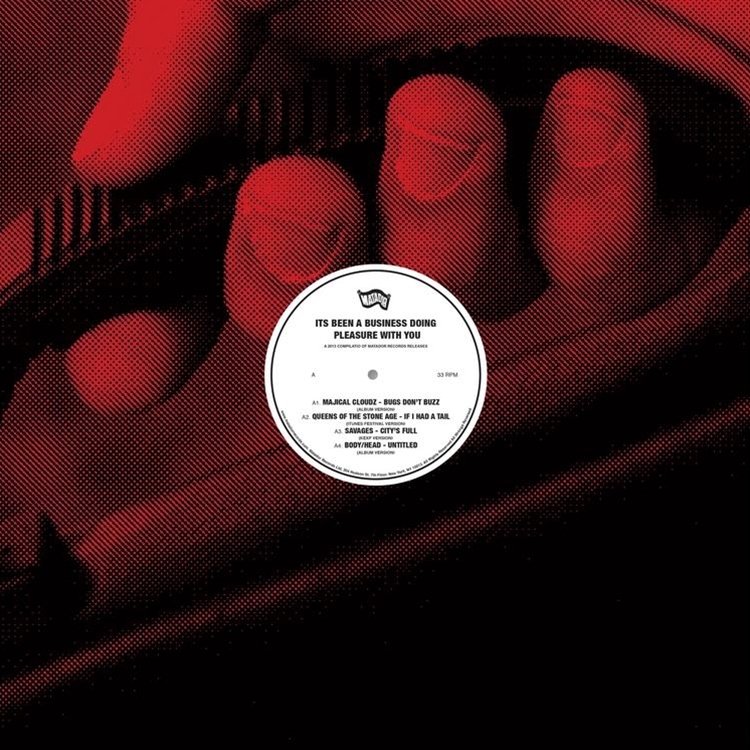 On December 3, we’re releasing a limited edition, one-time pressing of a $5.99 list LP , ‘It’s Been A Business Doing Pleasure With You‘, featuring 9 songs from (most of) our 2013 releases. In addition to album tracks from Chelsea Light Moving, Majical Cloudz, Body/Head, Lee Ranaldo & The Dust, Iceage and Kurt Vile, there’s a live version of Queens of the Stone Age performing “If I Had A Tail” at the 2013 iTunes Festival (Roundhouse, London), Savages’ “City’s Full” from last summer’s KEXP session, and Yo La Tengo performing “Before We Run” in those same KEXP studios. We don’t have any copies for mail order, sadly, but hopefully you’ll find one at your favorite record store after they’re done sweeping up all the broken glass, blood, etc. from Black Friday. If you prefer, you can order a digital version of the comp. right now at the Matador Store. Just a reminder (we’ve had a few of those today) that Yo La Tengo’s ‘Fade’ has been reconfigured as a double CD (see above) deluxe edition, and is in stores today or available direct from the Matador Store. Here’s the scoop on the contents from a September post. 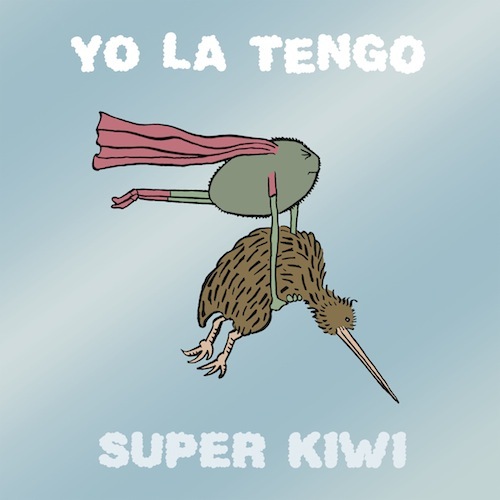 Experience the magical collaboration of Yo La Tengo and Jim Woodring. This product is a set of DVD and 3 soft-vinyl dolls. The DVD contains an original animation (5:20 minutes) of a mind-blowing colorful dream world that centers on “the Tree” and the 3 whimsical characters. It is made by a Japanese production company that specialize in hand-drawn animation: drop. And of course, All NEW music by Yo La Tengo! 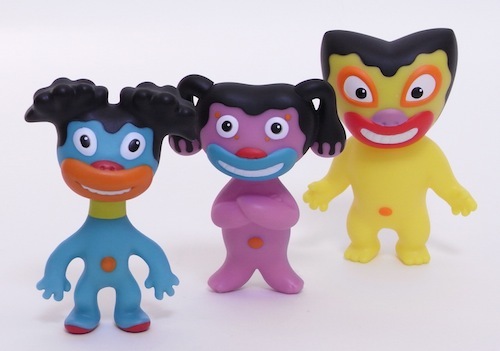 The 3 colorful soft-vinyl dolls were sculpted by Japanese master sculptor: Tomohiro Yasui. Beautiful packaging design by Jim Woodring with a bonus comic on the back. 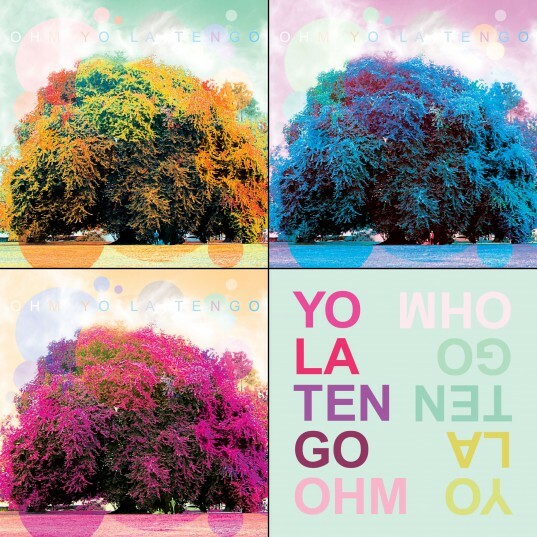 You might have thought, given the wealth of amazing Yo La Tengo radio sessions that we’ve alerted you to in this space, that the well had finally run dry and there would be no more new radio action from Ira, Georgia and James. You would, as you probably have guessed by now, have been completely wrong. The above video is from a recent session the band did at New York’s WFUV, which can be listened to in its entirety here . New Yorkers with a hankering to listen on their radio dial should tune in to 90.7FM at 9PM EDT tonight. Today YLT unveil a companion piece to their animated video for “Ohm”, as “Is That Enough” reveals the complete musical equation behind Georgia, Ira and James’ magic. Stay tuned at the video’s close for a special guest appearance. Yo La Tengo’s new album Fade can be purchased here and the 3×12″ set of “Ohm” (out Aug 13) is available for pre-order here. Like the “Ohm” clip, “Is That Enough” was directed by Donick Cary, who sat with Pitchfork and discussed the project for a Director’s Cut feature. 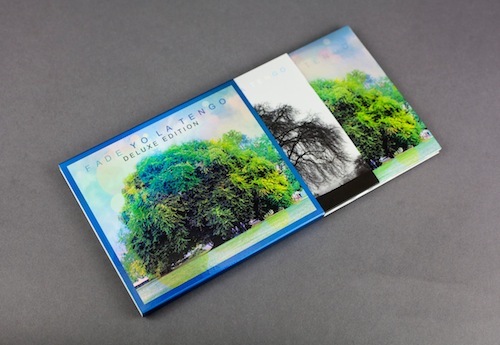 The radio listeners of America and the world have been treated to a wealth of amazing Yo La Tengo instudio session activity in 2013, and the newest is one of their best yet. 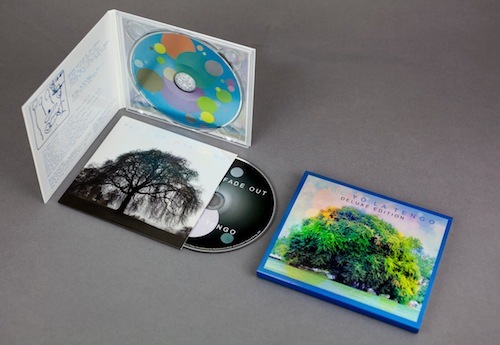 Recorded at Oregon Public Broadcasting in Portland, the session is quiet, contemplative, and beautiful (as seen in the above performance of “Cornelia & Jane”). And then Ira lays down yet another amazing guitar solo on the closer, “Ohm.” Check out the whole session at opbmusic.org. 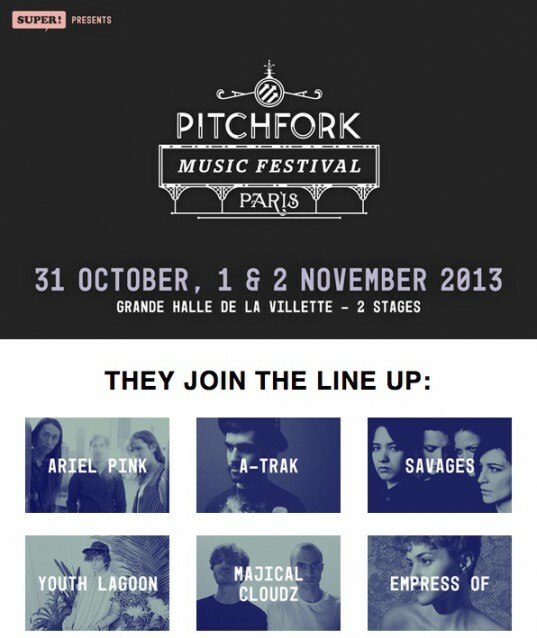 New additions from Matador have been announced for Pitchfork’s Parisian Takeover in November. Savages and Majical Cloudz join the previously announced Yo La Tengo and Iceage for the three day event at the Grande Halle De La Villette on October 31st – November 2nd. Full lineup of artists will soon be updated HERE. 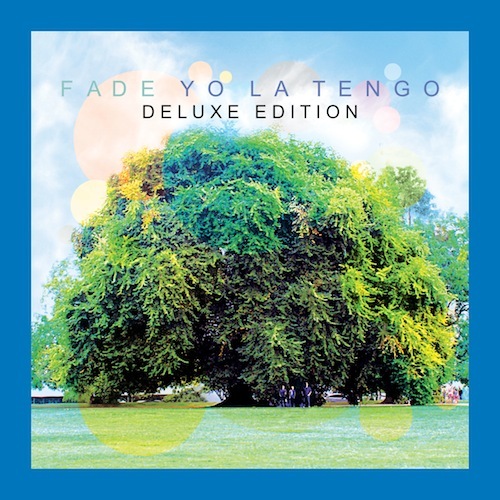 While Yo La Tengo continue their global touring in support of what’s likely to be considered one of 2013’s top albums, ‘Fade’, we’d like you to STOP WHATEVER YOU’RE DOING right this moment and focus intently on the album’s first song. The second video from ‘Fade’, “Ohm” was written and directed by Donick Cary, with animation created by Sugarshack Animation, and was produced by Dejda Mishkovsky. Fans of “The Simpsons” might recall Cary’s writing credits from such episodes as “D’ohing In The Wind”, “Thirty Minutes Over Tokyo” and “The Last Temptation Of Krust”. Apparently they still give awards for music videos and after watching “Ohm” multiple times, I’m sure you’ll agree it’s a good thing the band invested in an extra large trophy cabinet. We’re releasing a limited edition triple 12″ set of multiple versions of “Ohm” ; 3 12″ singles with a printed flat in a 4-box poly shower curtain display case. There’s metal grommets in the curtain if you’d prefer to display it on your wall (or, if you’re especially nuts, in your shower). All versions are unreleased except the original version. Each 12″ pack comes with a download coupon with all the tracks plus the radio edit of “Ohm”. We’ll be selling the “Ohm” 12″ triple pack early at the Matador table during the CHIRP Record Fair at the Pitchfork Music Festival in Chicago’s Union Park, starting Friday afternoon, July 19. However, you can preorder The “Ohm” 3X12″ from The Matador Store today.. It’ll be in finer record stores on Tuesday, July 30. This Winter (yup, we’re talking about that already) Yo La Tengo return to Europe for a comprehensive tour, including a Buckminster Fuller show at London’s Barbican and a re-scheduled date at Vicar Street in Dublin, replacing the cancelled date from March (original tickets remain valid). More announcements on the way, so watch this space… But so far our very own Yo La Tengo and Iceage have been confirmed for Pitchfork’s three day party at Grande Halle De La Villette on 31st October – 2nd November. Get your early-bird tickets HERE. Due to overwhelming demand (by Oprah and Mormons, apparently), Belle and Sebastian have added Santa Barbara and Salt Lake City to their swelling North American July tour. While the band has started working on new material, Stuart Murdoch has said these shows are likely to be all back catalog, though anyone who’s seen the band knows their sets can vary wildly from night to night, so we recommend attending every show (except NYC, which is SOLD OUT). Check out this recent interview with Stuart, where he talks about his recently-completed God Help The Girl film, and working on new material. Yo La Tengo’s box office smash North American tour in support of album-of-the-year candidate ‘Fade’ hits the West Coast this week with scalper-bait shows at LA’s Fonda Theatre (Thursday) and a pair of nights at San Francisco’s venerable Fillmore (Friday and Saturday). Though Ira, Georgia and James have done a number of radio sessions already in 2013, they’ve not visited KCRW’s “Morning Becomes Eclectic” in far too long (OK, there’s probably more recent appearances, but this was the first one to pop up in a search). Tomorrow morning, “far too long” becomes, “no, they’re on right now”. 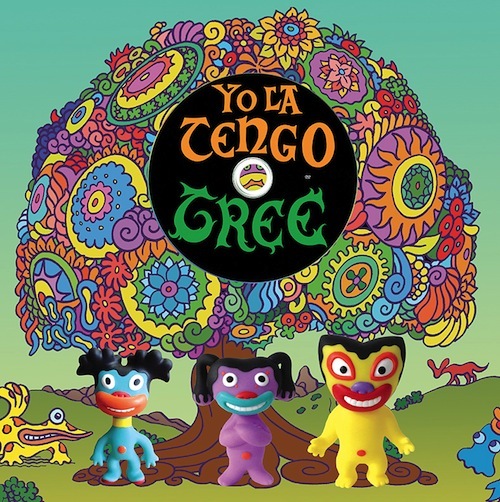 Tune in Wednesday at 11:15am Pacific time (2:15 pm eastern, 7:15pm for our friends in the United Kingdom) and you’ll hear Yo La Tengo playing, well, whatever they feel like, as well as chatting with MBE host Jason Bentley. Admittedly, I’m guessing about the chat portion, but anything else would be kind of rude, don’t you think? Austinites (Austinians? Austintonians?) get psyched because Yo La Tengo are coming for you with a free all ages instore and Austin’s ever-awesome End Of An Ear. 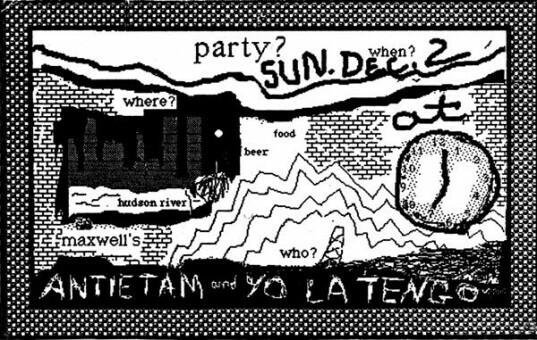 That’s right… all of you who were oh so bummed when The Mohawk announced YLT’s show on Friday May 3 was SOLD OUT can rejoice in your newfound chance to see this band in such a personal and intimate way. But if you don’t live in the Live Music Capital you should still check out the band on their lengthy tour, on which the band is playing an absolutely stunning two-part set. Yo La Tengo hit the road again starting this Friday in Baltimore with Beach House at the Lyric Opera. These will be the first proper shows in support of Fade in many parts of North America, and if you haven’t seen the band’s new two-part set yet, well, you need to. It’s astoundingly great. The tour encompasses the Solid Sound and Pitchfork Festivals as well. July dates will be supporting Belle and Sebastian. Keep your eyes peeled for some super-interesting new YLT news coming next month. 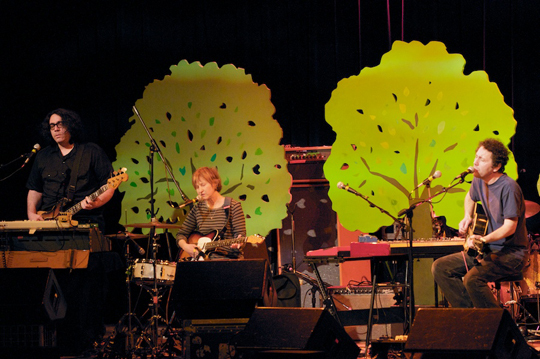 Though Europe’s cold and long Winter has barely left us, we can already look forward to its return with some newly announced Yo La Tengo tour dates for November and December, including a re-scheduled Dublin show at Vicar Street (previously cancelled in March). Tickets go on sale for the following dates this Friday at 9am, make sure to watch their brilliant NPR ‘Tiny Desk Concert‘ session Gerard posted the other day and to check their upcoming US and Canadian tour dates for April/May and July. Not to get hung up on the details, but Bob Boilen’s desk really isn’t that tiny. I mean, compared to the working conditions for anyone visiting Patrick & Robby’s office, it seems positively spacious (HINT, HINT). And yes, I do know where the reference comes from, but there’s a little thing called TRUTH IN ADVERTISING that you might not be familiar with. These minor gripes aside, thanks so much to Mr. Boilen and National Public Radio for hosting Ira, Georgia and James for the above acoustic performances of “Fade”‘s “Is That Enough” and “Ohm”, and “Tears Are In Your Eyes”, from 2000’s ‘And Then Nothing Turned Itself Inside-Out’.